13 Nail Hacks for Getting Salon-Quality Manicures at Home. Get the Perfect Manicure With #9! Everybody loves getting nails done at the salon but it can quickly get expensive if you get them done often. It’s easy to get salon-quality nails at home if you learn nail hacks from the pros and you’ll save money too! Nail hacks are tips and tricks often used by professionals and the following hacks will help you get professional results. Try these 13 nail hacks to get salon-quality manicures at home and you are going to love the results. 1) Remove nail polish in 5 minutes using only 1 cotton ball. 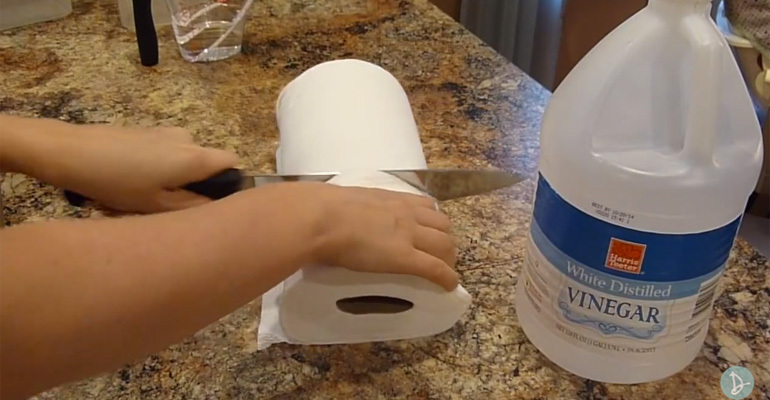 Learn how to easily remove nail polish with this 5-minute nail polish removal tutorial. 2) Apply multiple thin coats for awesome nails. If you want your manicure to last longer, apply multiple thin coats instead of only one coat. It takes more time but you’ll have a more vibrant manicure and it will be much stronger too. 3) An easy way to remove your glitter polish. Take 5 cotton balls and rip them in half to make 10. 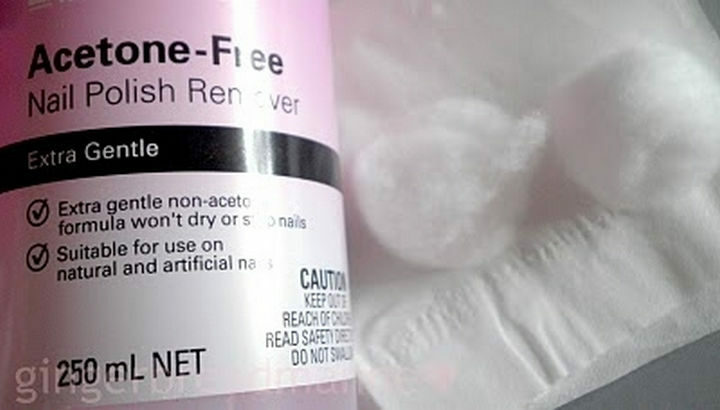 Soak them in nail polish remover and apply it to your nail. 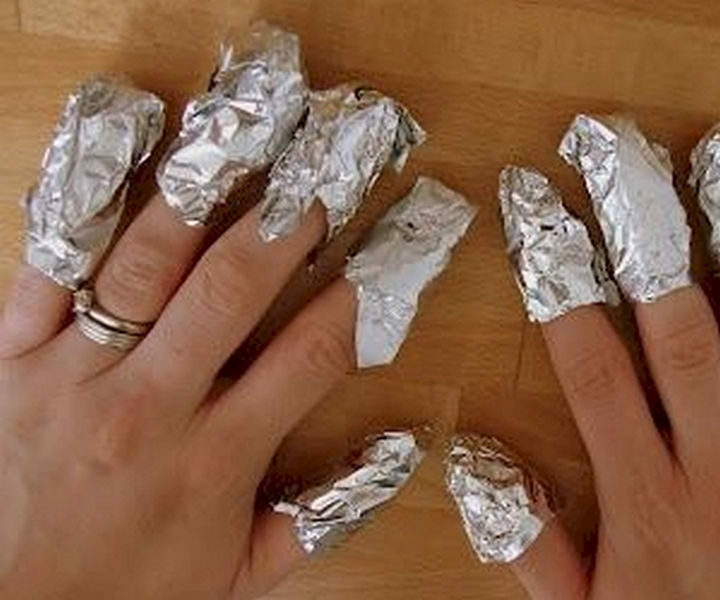 Wrap your nails with 10 small squares of tin foil and let them sit for 5 minutes. Gently squeeze your fingernail as you pull the tin foil off your fingers and remove any remaining glitter with an orange stick. Follow these steps in detail to remove your glitter polish the easy way. 4) Dry your nails fast by dunking your hands in cold water. Let them air-dry for 2 minutes then place your hands in ice water for 3 minutes. It’s the fastest way to dry nail polish. 5) Set your manicure with cooking spray. No time to air-dry your nail? 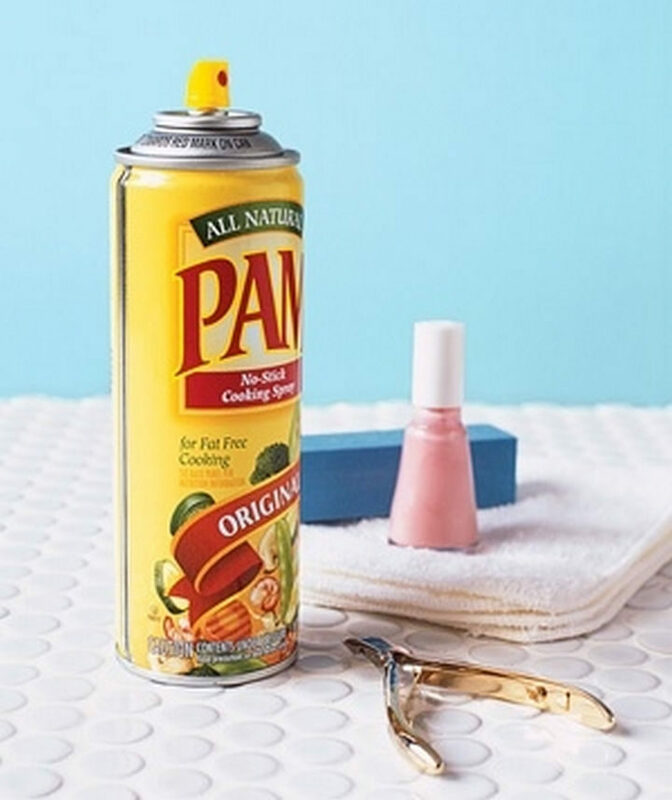 No problem, just lightly mist your manicure with cooking spray to prevent smudges. 6) Properly apply chunky glitter polish by dabbing first. Never brush on chunky glitter polish. Instead, apply a large dab and slowly spread it around your nail. Here are more tips for applying and removing glitter polish. 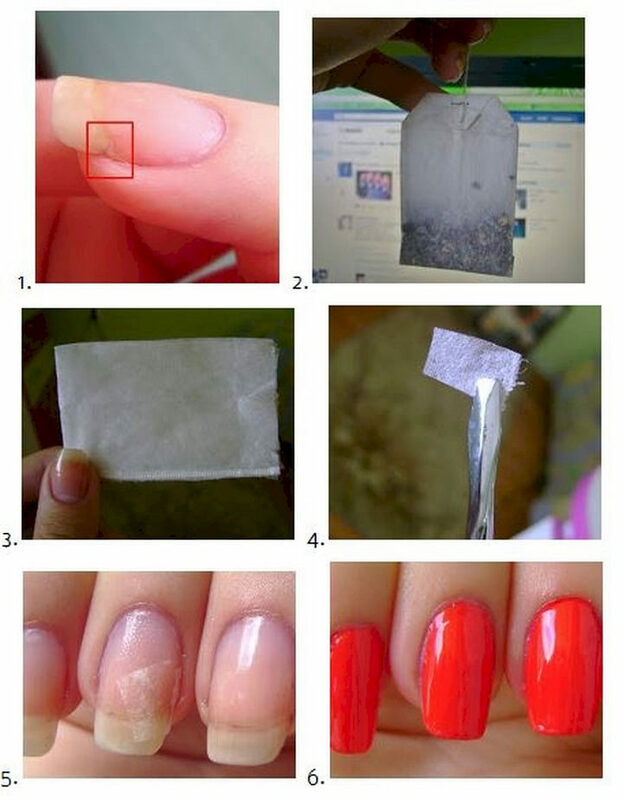 7) Nail hacks to fix a broken nail with a tea bag. Start by emptying the tea bag and cutting a piece to fit. Apply a base coat to the nail and place the tea bag piece over the broken nail. Apply your favorite nail polish for a flawless manicure! Follow these steps to fix a broken nail. 8) Learn how to paint your nails like a professional. 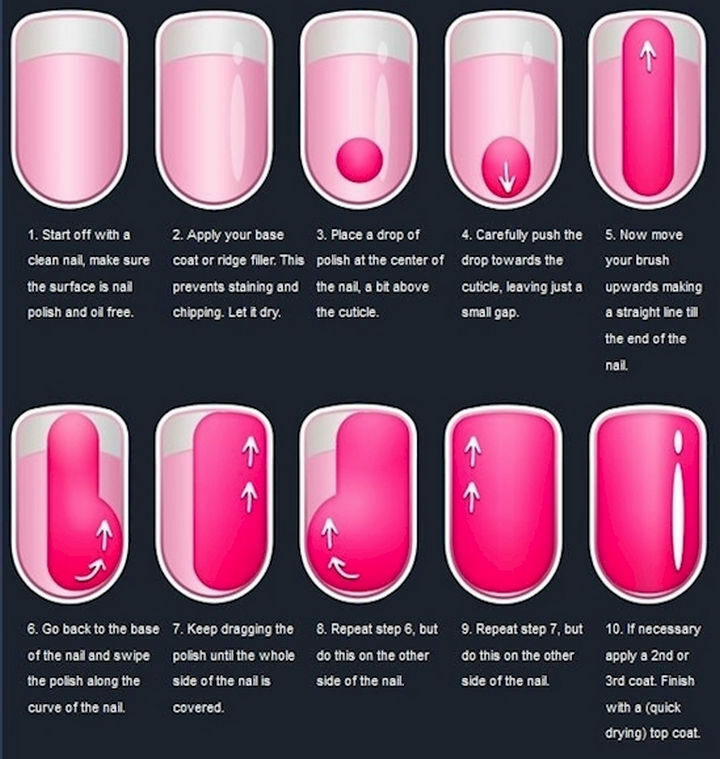 If you like this, here are more great tips on how to paint your nails. 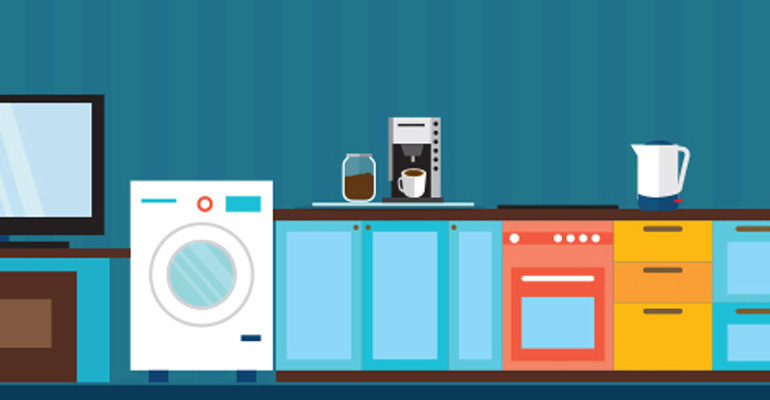 9) Easily clean up a polish job. Dip a thin paint brush in nail polish remover to clean up your manicure. Looking for the perfect DIY manicure at home? Follow these 7 steps to a perfect DIY nail manicure. 10) Make your own dotting tool. 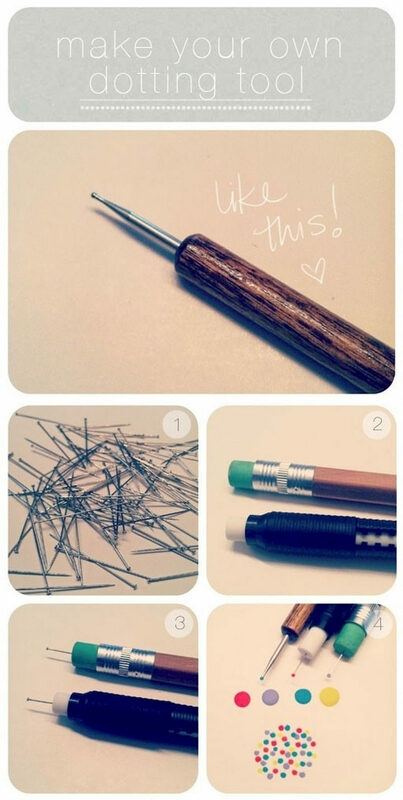 Just grab a pencil with an eraser and stick a straight pin into it for a quick DIY dotting tool. There are different sizes of pins available at your favorite fabric store. 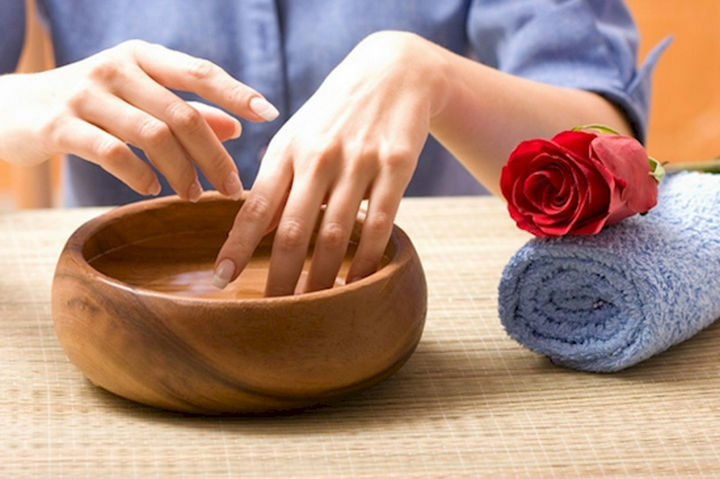 11) Get rid of yellow nails by soaking them in one of these solutions. The downside of always applying nail polishes is that nails start to get a yellow tint. 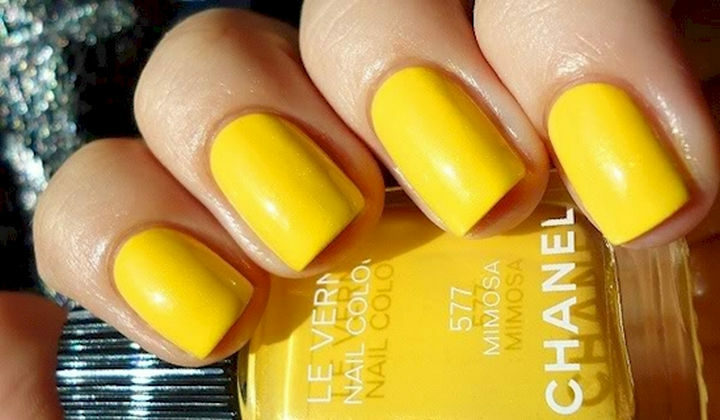 Get rid of yellow nails by soaking them in lemon juice, a mixture of peroxide, and baking soda, or even toothpaste! Here is how to create these solutions to fix your yellow nails. 12) Get a shellac manicure without using shellac. Create your own DIY shellac by using Sally Hansen Hard as Wraps Powerful Acrylic Gel, Sally Hansen No Chip Acrylic Top Coat, and your favorite polish. First, apply one coat of powerful acrylic gel. When dry, apply two coats of your favorite polish and let dry. Then, apply an acrylic top coat for a shellac manicure with the shellac. 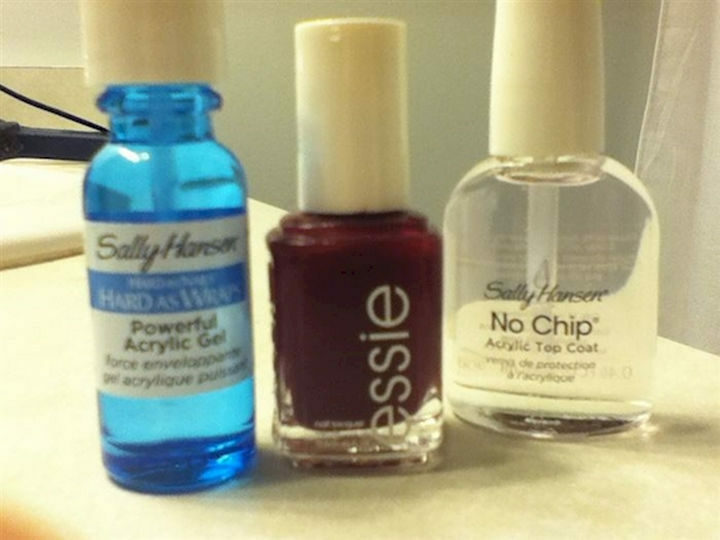 All you need are these 3 products to make DIY shellac without the shellac. 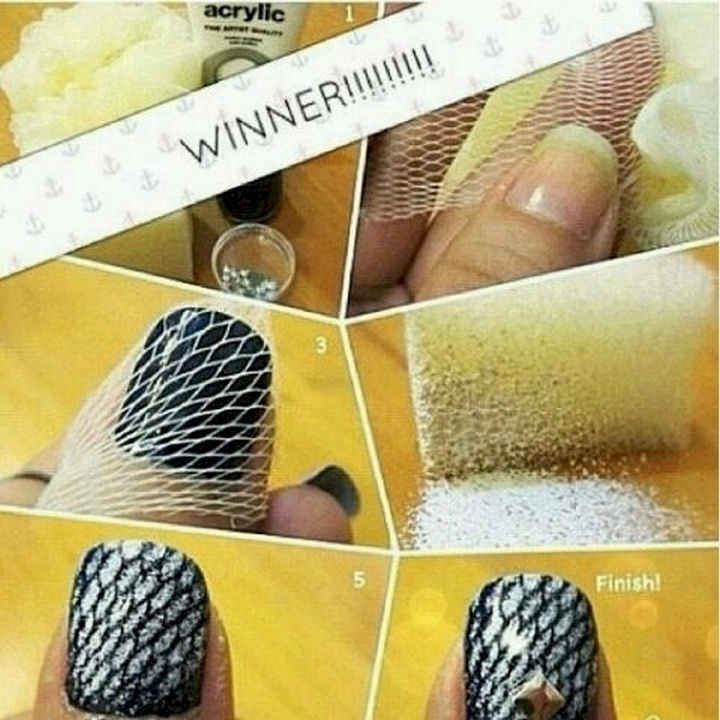 13) Use a loofah to create mermaid nails. This one is super simple. 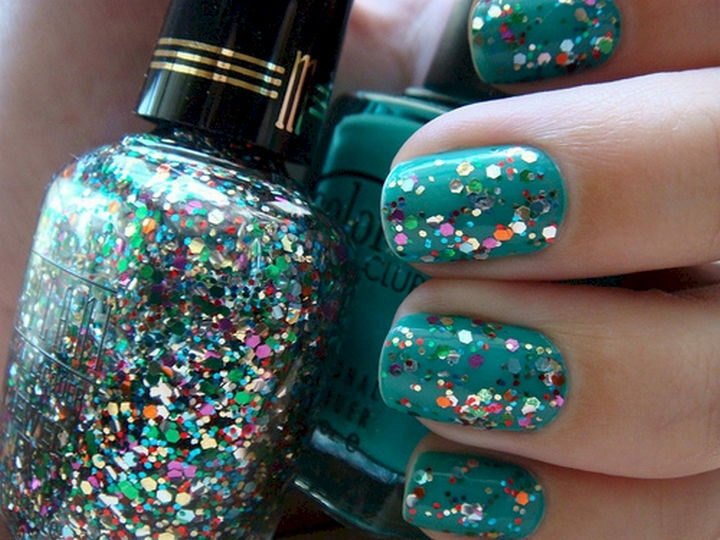 Just place a piece of loofah over your nail and sponge some polish to create perfect mermaid nails. It takes years for salon professionals to learn these tricks and techniques and these are just some of the best ways to get a salon-quality manicure at home. 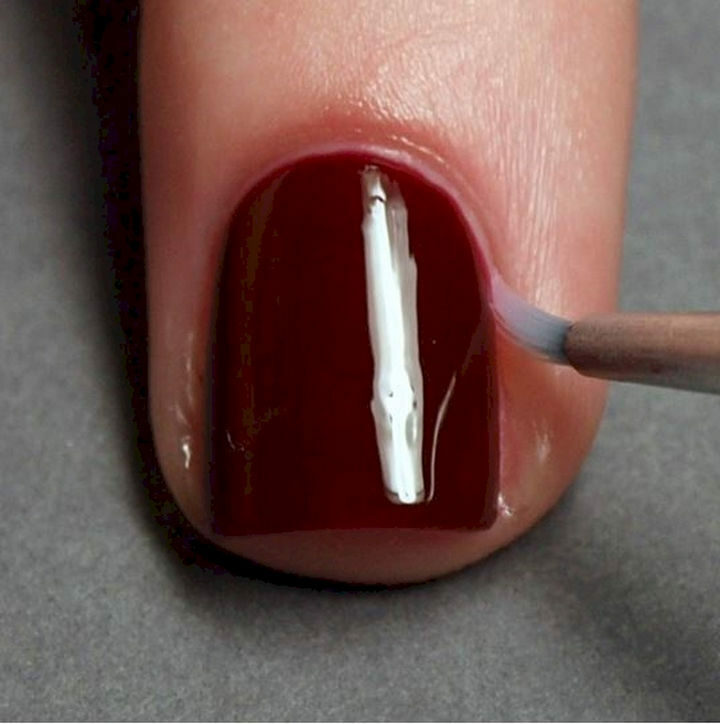 Please share these nail hacks with your friends and family. 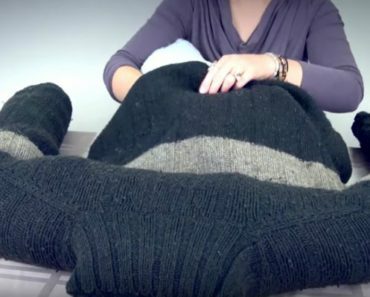 She Took an Old Sweater and Made the Cutest Thing Ever! Her Dog Will Love It! !